Look out … here comes The Gist! Again! And we are so excited to share our second season with you! 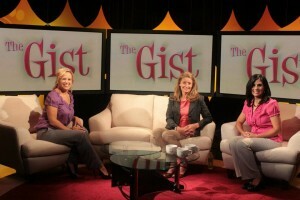 We are gearing up for an all-new season of The Gist on CatholicTV, scheduled to begin airing in September. This season, we are taking up a number of different topics of interest to Catholic families and we want your input. Viewer feedback and participation make for the best shows, so if you haven’t already, please like us on Facebook. That way, you won’t miss a single episode and you can take part in our reader polls and calls for questions. Like us! Like us! You know you want to like us! 2 comments to Look out … here comes The Gist! I’m from Australia. Is there any way I can view the episodes? Do they livestream anywhere? Thanks. Wish we had a show like this over here!